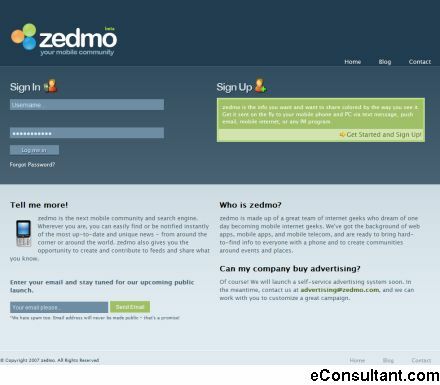 Description : zedmo is a mobile community and search engine. Wherever you are, you can easily find or be notified instantly of the most up-to-date and unique news – from around the corner or around the world. zedmo also gives you the opportunity to create and contribute to feeds and share what you know.